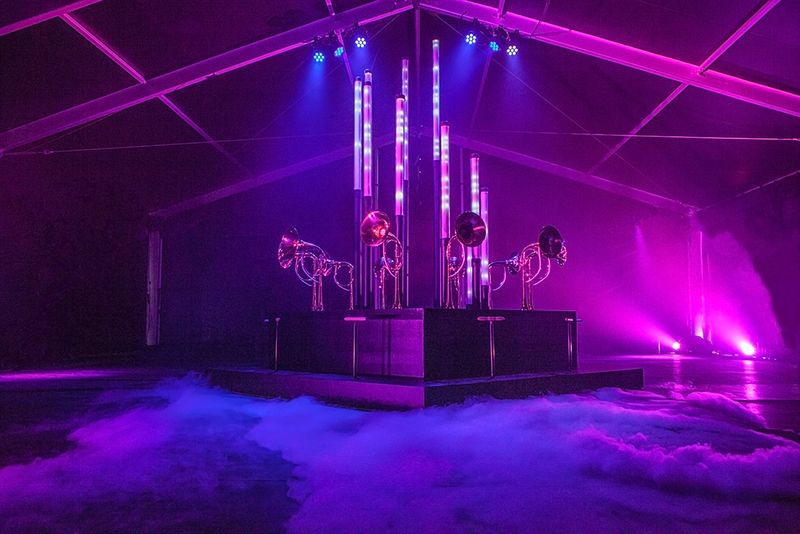 The Dream Machine was a multi-player, olfactory organ performance that combined smell with sound, touch and light in a single interactive experience. In 1931 Aldous Huxley wrote Brave New World, a cautionary tale where technology plays the role of a sedative as people succumb to mere sensation, losing their imagination and existing only as passive, “feeling machines”. Are we far from the world Huxley imagined? How can we use technology to create a more engaged world? The Dream Machine was a vision of the future where we play with the whole spectrum of human emotion, tap into our senses, and feel truly alive. 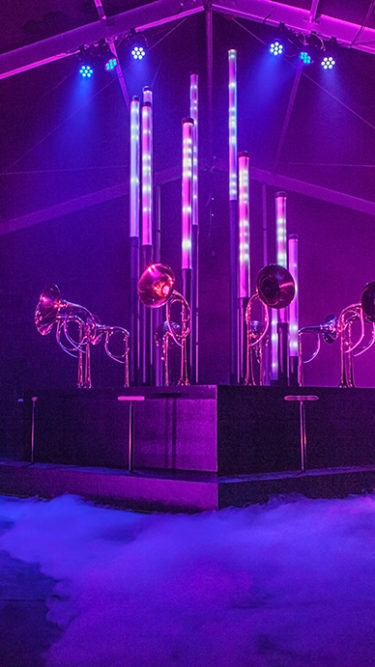 This multi-sided instrument was designed to trigger 10 different emotions by using synesthesia to create a symphony of light, sound and smell! Her Dream Machine piece was a “multi-sensory scent organ” connected to a network of bicycle pumps that spray scents into the air. Festival-goers can experience a range of human emotions by playing the organ, which activates smells, sound and light to communicate feelings such as contentment, sadness, fear, anger, disgust and shame. (For the curious, “sadness” has an earthy, mud-like scent with tiny hints of new green growth, while anger emits a fiery combination of tomatoes, chili pepper and spicy heat).